Cash Pawn Loans on All of Your Electronics! One of the fastest and best ways for you to raise money quickly when you need it is to pawn your electronics in Mesa, Arizona, at our pawn shop store right here in the city. Trying to get a loan from a traditional lender never happens quickly, and if you need cash immediately to cover some financial shortfall, that just won’t cut it – you need to work with an alternative lender like our pawn shop store to make things move along faster. 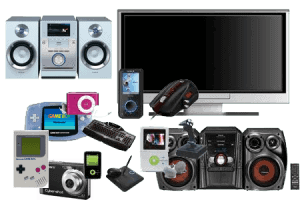 We accept a huge variety of electronics items which you can collect and bring to us for appraisal, and the more items you have, the bigger the payout can be. It simply means if you have multiple items, we will provide you a sum total cash loans. For instance, we can take major appliances, power tools, flat screen TVs, cell phones, desktop PCs, laptops, notebooks, video gaming systems, stereo systems, car audio systems, and a great deal more. Chances are, if it’s something that would have value to other people, it will also have value to us, and we would be interested in buying it or extending you a loan, using your items as collateral. We have worked with a great many patrons from the surrounding communities. These communities reside in Apache Junction, Chandler, Gilbert, Phoenix, Tempe, and Scottsdale, and the surrounding Valley Cities and Towns. We try our best to make every one of those customers satisfied with the treatment they receive from us, as well as the kind of cash payout they were hoping for. As members of the local community ourselves, we like to help our friends and neighbors during times of financial need, by providing the most generous terms, and the biggest payouts of any pawn shop store in the region. What Options Do I Have With Your Business? You do have the option of selling all your electronics items to us outright of course, and we would pay you the highest amount recommended by our in-house expert, then receive them into our inventory for sale to other interested patrons. However, if you prefer to retain ownership of them, we can advance you an amount which is based on their current market value, and we would then write up a contract agreement with you that extends for 90 days, and is payable in monthly installments. For each month of the agreement, you would pay an amount equal to the sum of the interest plus principle, until you have the loan agreement entirely paid off. For any individual month which you are unable to pay the full amount, you would be allowed to pay the interest only, and maintain a status of good standing for your agreement. Will I Be Able to Get My Collateral Back? When you are able to pay on the principle as well, you can catch up on payments, so that your outstanding balance is steadily being reduced, and you are moving toward a balance of zero. When your loan is fully paid off, you would again resume ownership of all your valued electronics items. If you like, at that time you would then be free to enter into another pawn loan agreement with us, to receive additional cash for items of value you may have around the home.